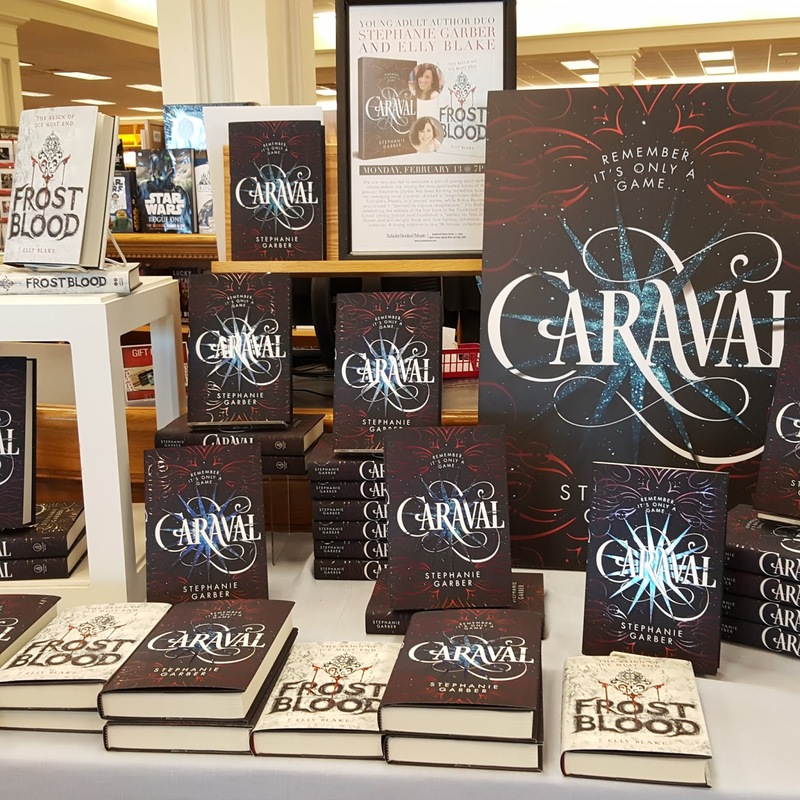 Event Recap: Welcome, Welcome to the #CARAVAL Book Tour! On February 13, 2017, I headed over to Schuler Books in Lansing, Michigan to join in on the magic of CARAVAL! 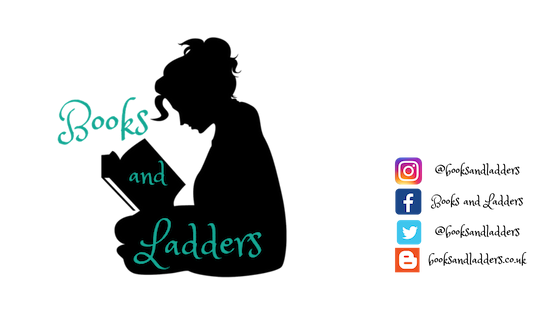 I am going to give you an overview of the event plus more information about the book AND a chance to win a signed copy, so make sure you keep scrolling! First, I was really happy to leave early and get to spend some time with the Michigan peeps that I talk to a lot and really go to the events to see. 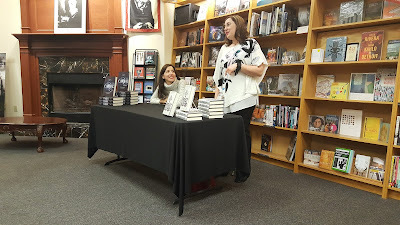 As well, Stephanie and Elly got to the place early so we got to chat with them for a bit ahead of the event which was really nice as well. 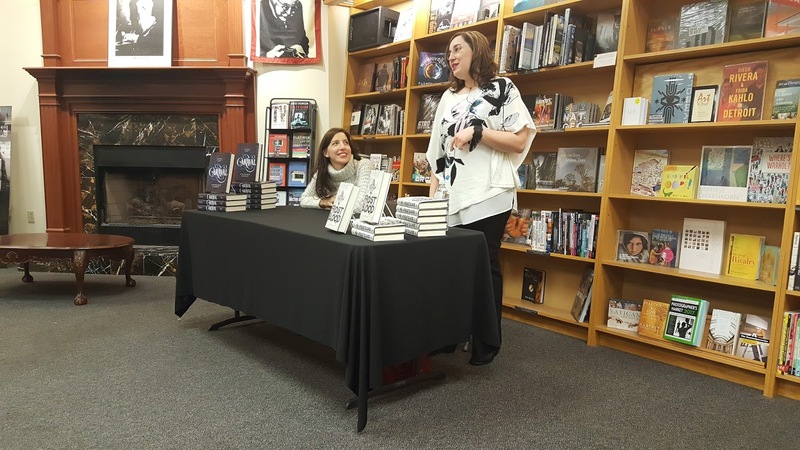 When the event started, Elly introduced Stephanie and asked her questions about her bio which allowed us to learn that Stephanie has a very supportive and loving family and also took students to Amsterdam which was an interesting experience. 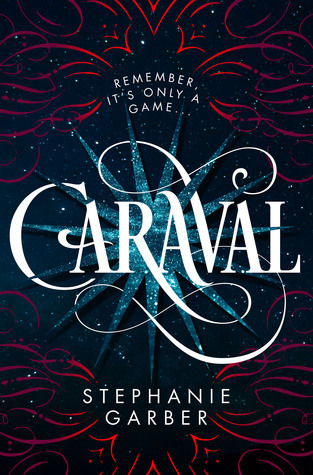 The original title for the novel was Hearts Made of Black because Stephanie was afraid that using a made-up word, aka Caraval, would deter readers from picking up the book. But her dad really believed in the title and eventually it was changed. Stephanie was really happy about this because she believes that it fits her book a lot more than the original title. None of the characters are based on anyone, although Stephanie does have a younger sister who looks like Tella, but she states that is where the similarities end. Stephanie states that while Tella is selfish, her sister could never be described that way. 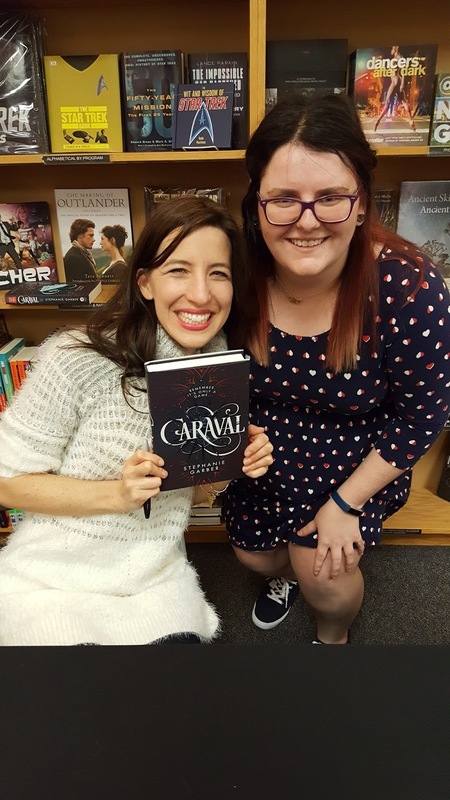 In fact, when her ARCs arrived (on her birthday), she called her sister and asked her to come over so they could open them together. They loved to make the star shine based on the lights overhead (to be fair, #same). Stephanie states that she is most similar to Scarlett because Scarlett is always looking at things in a practical way and trying to determine if it is essential to have an item or to do an activity rather than just going for it. 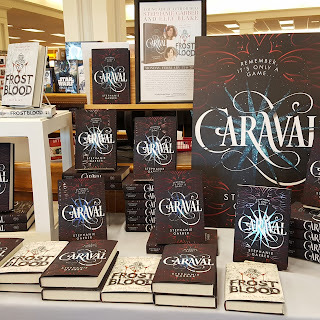 She hopes that CARAVAL allows the reader to see that it is important to go after the impractical instead of living in fear of going after the things you want. The most interesting piece of trivia we learned at the event is that Stephanie wasn't quite sure how the book was going to end as she played along with Scarlett and co, giving them all multiple backstories and determining as things went along whether or not they were lying or telling the truth -- and how that impacted their storyline and decisions. There was more but that is what I remember specifically, especially the idea of going after the things you want and not completely living in fear. I think that not only is that good life advice, but a central theme to the book! One of the other awesome parts of last night is I got to meet Darcy Woods, author of SUMMER OF SUPERNOVAS, which was one of my FAVOURITE 2016 debuts and reads from last year. I will be going to Darcy's paperback launch in May which is at another one of Schuler Books' locations! 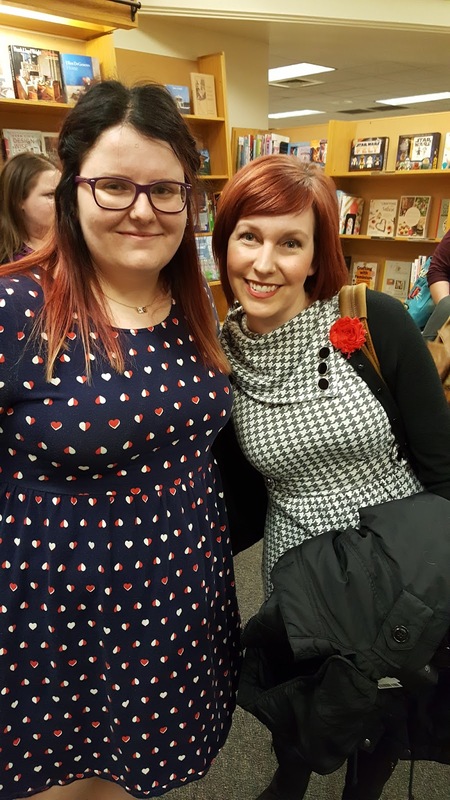 It's so awesome you got to meet so many authors! I'm really looking forward to Geekerella and Daughter of the Pirate King! Ugh, so many debuts. When Dimple Met Rishi, Sad Perfect.. I'm excited for Returned by Little, as well as Caravel, Sad Perfect, and Legion. Super excited for Caraval by Stephanie Garber, Wicked Like a Wildfire by Lana Popović, When Dimple Met Rishi by Sandhya Menon and The Hundredth Queen by Emily R. King.